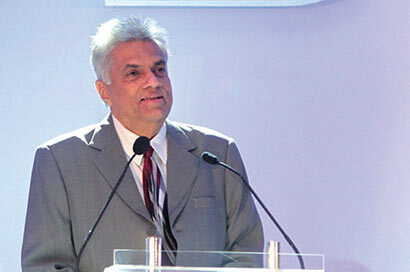 “Going by our vision, our polices, the Megapolis must not only be the largest city in the Indian Ocean region. It must rank high in regard to sustainable development. We want a livable city. In South Asia cities are no longer livable,” he said, speaking at the “2030 Now” summit organised by the UNDP last evening. He said the government would have to think of the rural people as well: “You cannot forget the countryside. You cannot forget the rural economy. After all you have to feed people. There will be more mouths to feed in 2050 than you have today. One has to focus on sustainable agriculture,” he said. “By putting Chinese equity into our markets we could repay about $3 billion of Chinese credit. We would like to give first choice to Chinese companies in the equity market. At least we can breathe now. This is something we could not do in 2015,” he said. Really? Just like your Volkswagen plant you promised and one million jobs. Why don’t you do anything about the ageing railway system unbelievable crude public bus System? First of all give the public a good justice system, then bring law and order and introduce regulations rather than promising things you cannot achieve. Are you suffering from verbal diarrhea Prime Minister? ‘By putting Chinese equity into our markets we could repay about $3 billion of Chinese credit. We would like to give first choice to Chinese companies in the equity market. At least we can BREATHE now. This is something we could not do in 2015,” he said.’ Chinese were one time ‘bad Guys’ ; now, even to BREATHE you need Chinese. The only thing our so called engineers are good is taking the hell out of newcomers called the rag and beaten (quite rightly beaten by the police. There are so many things that can be done before this mega police.. Just look a the conjunction of traffic on roads, aging railway stocks and stations, neglected infrastructure etc. Ok we heard enough about this megapolis. Lets see how it progress like the Volkswagen plant you promised. Have you passed the Moratuwa so called University. The (memorize the book and pass the exam) stupid engineers have made a replica of a space shuttle. With what? With card Bord.